Fantastic music really well presented in an easily understandable manner, with tab that can be printed and every song broken down into small bite sized sections. What more could I ask for! By far, one of the best courses being sold today. You will not be disappointed with this material and the presentation. thanks Jim .great tunes and excellent teaching.your method makes learning the tunes fun and very easy to understand.I highly recommend it to anyone wanting to learn finger picking. Fantastic value for money and some of the best tutorials around and now being available through udemy makes them so much more useable. For acoustic blues lovers these step by step lessons take you from zero to semi-accomplished very quickly. Some more Lightning Hopkins and Brownie McGhee please Jim!! Anyone can learn to play guitar but not everyone can teach it. Jim has a way of helping you understand his lessons. I've been playing guitar for a while and I've always wanted to play just like the great Blues players from way back when, and when i saw Jim playing I thought THIS IS IT, at last someone who can play THE BLUES properly. Great player with great technique. Tx. Ho già avuto modo di studiare alcuni brani che Jim insegna con il suo formidabile corso su DVD che ho acquistato tempo fa. E' un grandissimo maestro che insegna con video ricchi di particolari e con estrema precisione nei passaggi più complessi e che richiedono una grande conoscenza tecnica dello strumento e del genere che si insegna. Nel caso di Jim: il Blues. Jim's teaching is shared learning, and commitment to passion with fun, as opposed to many of the web's sales pitchers. I have really appreciated the step by raised step encouragement and student-centred detail, and the belief that it can be done by persistent time on task, and it actually works. Jim gives instruction that you can't get anywhere else and knows his trade extremely well. A real blues man! Excellent tuition well thought out and executed giving beginners and intermediates a true incite into methods of playing the original blues by the early greats. Anyone thinking of buying a Jim Bruse Course will find them easy to follow and their guitar playing improve. I speak from experience, the lessons are great! They are awesome!! Thank you so much Jim, I am going to use some of this instruction to help me get back into playing. I like the platform it appears to be organized and the video and audio is high quality. Will report back with my progress.thanks again!!! 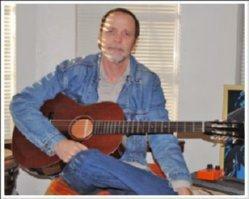 Jim Bruce is the only instructor I've ever found who actually teaches you how to play authentic acoustic blues. Now this is fun! I'm having absolutely no problems at all with viewing and downloads on this course. Great stuff Jim. Jim tells it so simply and easy to understand. Great lessons! I noticed immediate difference in the quality of my playing. Jim's lessons are always clear and well paced. You can focus on small parts to get riffs and licks right. Thanks Jim, keep going, more please. Every one of these is like finding a lost gold nugget of blues. Amazing - Jim gives you everything you need. Small bite-sized pieces that you can work on and eventually build up the whole song. Great teaching, as it is usual. Finger picking blues greats in your hands. I'm 50 years old and when I grow up I want to be Jim Bruce.